The 2018 IAAF Diamond League season comes to an end this week with what should be two terrific finals in Zürich (Thursday, 2-4 pm ET) and Brussels (Friday, 2-4 pm ET). Since there are no World Championships this year outdoors, the DL finals are as big as it gets from a global perspective (sorry Euro Champs), as all the studs will be coming together to battle for the $50,000 first-place prize and the title of Diamond League champion. While there are some great sprints and field events on tap at both meets, this is LetsRun.com, which means we’re going to be talking distance races first. Between the two meets, there are eight distance events in total, and we’ll be counting them down below, from least to most interesting. Let’s get started. We’re not saying that Caster Semenya won’t run fast. She’s actually been running the fastest times of her career in 2018, with her 1:54s in Paris and Monaco. But we can only get so excited about an event when we already know the outcome. You know Caster Semenya is going to win. We know Caster Semenya is going to win. There’s no drama. The one way this event could jump up in our rankings is if Semenya can challenge (or break) the world record of 1:53.28, but that would require a huge effort — Semenya tried to run fast in Paris and Monaco, but her 1:54.25 PR is still almost a full second shy of the WR. Still, expect her to make another go at it in Zürich. 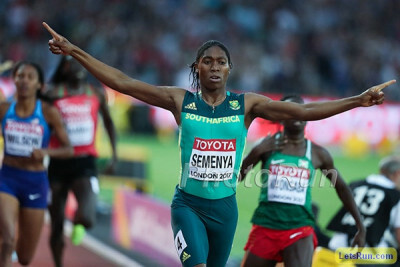 Remember: even though Semenya is challenging the IAAF’s new hyperandrogenism rules, as of right now she would still be ineligible to compete without treatment as of November 1. This meet and next week’s Continental Cup could be her last chance to break the record. From an American perspective, Ajee Wilson has quietly put together another monster year (two 1:56s, two 1:57s) and is coming off a big win at NACACs over breakout star Natoya Goule of Jamaica. Francine Niyonsaba has had second place in DL races on lockdown the last three years, but Wilson did beat her earlier this year at the Pre Classic. Beating her in Zürich might require Wilson to lower her American record of 1:55.61, but it’s not inconceivable. 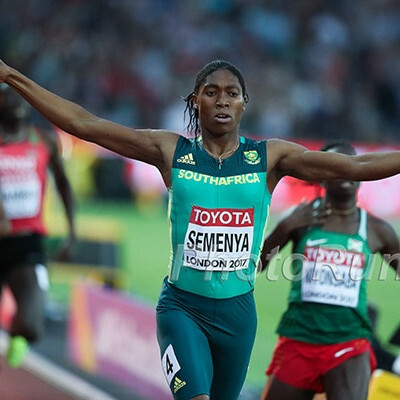 LRC prediction: Semenya wins it, but no WR. Niyonsaba second. 7) Men’s 5,000: Last chance for a sub-13:00 (Friday, 3:22 p.m. ET)? 2018 is dangerously close to becoming known forever as The Year Without a Sub-13:00. Not since 1993 has the world failed to produce a single sub-13:00 clocking, but it’s August 28 and the 2018 world leader remains Birhanu Balew‘s 13:01.09. The Diamond League final has produced sub-13:00s in the past — five of the eight previous finals have been won in under 13 minutes — but now that the DL final is a winner-take-all affair, everyone in the field is going to think they have a shot at the $50,000 prize. Which means that no one may be willing to potentially sacrifice themselves by driving the pace during the third and fourth kilometers to chase sub-13:00. Of course, you can have great races without fast times — last year’s DL 5k final was one of the races of the year and the winning time was 13:06. But the event was also way more interesting a year ago. We were less than two weeks removed from Muktar Edris doing the Mobot as he beat Mo Farah on home soil to win the world title in London. This time, the biggest revenge subplot centers around...a guy who tried to pull someone else’s pants down during a race? (Okay, that’s still kind of interesting). Kejelcha, who was denied a win in Lausanne after Selemon Barega ran up on him from behind (leading to said shorts-pulling incident), is the slight favorite as he just ripped off a 7:28 3k in Gothenburg on August 18 — the fastest time in the world since 2011. Still, he was only third in the most recent DL 5k in London, which saw Paul Chelimo become just the second American to win a DL 5k. LRC prediction: After starting the 2018 season with wins at Pre and Stockholm, Barega has cooled off, which leaves Chelimo and Balew (wins in Shanghai and Lausanne) as the top challengers to Kejelcha. We’ll go with Kejelcha, narrowly (this year, he’s been a better 3k runner than 5k runner), but just as last year, it could come down to who positions himself better on the final lap. In the 2017 DL final, Chelimo was moving faster than anyone in the home straight but found himself boxed in and ultimately DQ’d. Can he earn redemption in Brussels? As for sub-13, we 100% think Kejelcha is in sub-13 shape. Given the fact that the high in Brussels on Friday is expected to be 69, we 100% think it would happen if this wasn’t the DL final. We are just worried with so much money on the line, people won’t go for it. But we’ll say sub-13. Will anyone break 13:00 in the 5k in Brussels? This event has proven to be unpredictable in 2018: the men’s and women’s 3k/5k are the only events in which no athlete has won multiple Diamond League competitions this year. The four women who have won one — Caroline Kipkirui, Genzebe Dibaba, Hellen Obiri, and Agnes Tirop — will all be in Zürich for the final, so we’ll get a definitive result at last. But as you might expect, picking a winner is tough. Kipkirui won the season opener in Doha but has only raced one DL event since, taking 8th in the 5k in Rabat on July 13. Likewise, after winning at Pre, Dibaba has raced just once on the DL circuit and it didn’t go well — she was 6th in Rabat. She didn’t race the African champs either, so who knows how fit she is. Obiri won Rabat in a super-fast 14:21 and won the African champs but finished a well-beaten 3rd in Birmingham two weeks ago to Tirop (who didn’t run the African champs either). LRC prediction: Of the women above, we like Tirop the most simply because of recency bias (though Obiri could always bounce back). But the winner will be someone who has never before won a Diamond League 5,000: Sifan Hassan. Hassan finished just behind Obiri in Rabat, clocking 14:22, and we like her kick the best after she ran a 4:14 mile in London last month (#3 all-time). Yes, we know Dibaba is the 1500 world record holder, and she’s the 2018 world leader thanks to her 3:56 in Poland in June. But that was 12 weeks ago, and she hasn’t always been able to kick as well in a 5k. Hassan FTW. While Evan Jager would undoubtedly like to become the first non-Kenyan to win the Diamond League steeple title and earn the accompanying $50,000 reward, sub-8:00 is the prize he’s really after. Jager has been very good at running close to sub-8:00 — he clocked 8:00 in 2015, 8:04 (in the Olympic final) in 2016, 8:01 in 2017, and 8:01 in 2018 — but has yet to put it all together on the right day. But he wasn’t far off a month ago in Monaco (8:01.02), and a few weeks to recharge stateside — a rare opportunity during the summer racing season — might be just what Jager needed to shave off the final second or two. Of course, none of that matters if the field doesn’t go with the rabbits in Zürich, though we expect they will if they see a heavyweight like Jager following the pace early. 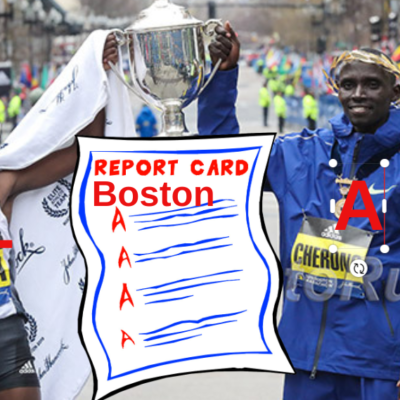 LRC prediction: When Kipruto’s on, he’s untouchable, and he’s on a hot streak at the moment. That being said, he has been battling an ankle injury and like Jager has never broken 8:00. If Jager doesn’t break 8:00 here, he may never do it. The temps are ideal in Zurich (high of 70). We are going to say sub-8 and a win for Jager. Will Evan Jager break 8:00 in Zurich? The women’s steeple basically takes what is going on in the men’s steeple — an American chasing a major time barrier — and multiplies it by two as both Courtney Frerichs and Emma Coburn will be trying to become the first U.S. woman under 9:00 in Brussels. While Coburn dominated Frerichs for several years (Frerichs lost her first 13 races against Coburn across all distances), it’s Frerichs who owns the American record as she ran 9:00.85 in Monaco to beat Coburn for the first time. Coburn still ran well in that race, however — her 9:05 was her second-fastest time ever — and, in case you forgot, she’s also the reigning world champion. Both women desperately want that number 8 at the start of their PRs by the time the season’s over. Beatrice Chepkoech already has that 8 and a lot more after a stunning 8:44 world record in Monaco. 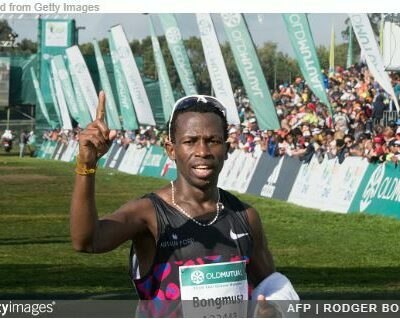 The gap between Chepkoech and the rest of the world right now is simply enormous. She won by 16 seconds in Monaco; then at the African Champs, she beat the second-fastest woman in history*, Celliphine Chespol, by 10 seconds. If you remove doper Ruth Jebet from the equation, the rest of the world has combined for three sub-9:00 steeples all-time. Chepkoech has run sub-9:00 in each of her last three races. Taking her down in Brussels will be a Herculean task. LRC prediction: Chepkoech wins it, and drags one of the Americans along to sub-9:00. Which one? We’ll go with…Coburn. Will an American woman break 9:00 in Brussels? 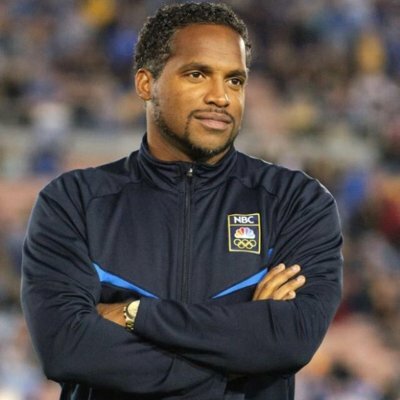 Wait a minute, you might be thinking, how can you complain about the women’s 800 not being competitive and still justify ranking the men’s 800 this highly? It’s a fair point: Emmanuel Korir has laid waste to field after field in the 800 this year, and while he’s run fast, he’s no closer to the men’s world record than Caster Semenya is to the women’s. Well for one thing, Korir is younger, and his dominance feels fresher. Semenya has been killing everyone since the start of 2016; before this year, Korir had run a grand total of one Diamond League race. Plus, it’s more exciting to watch him compete knowing we’ll get to see him continue to grow and chase his goals over the next few years; meanwhile Semenya is competing under conditions that will be deemed illegal by the IAAF within three months. Plus, Korir is still exploring his limits (though Semenya is still doing this as well). His 1:42.05 in London last month was the world’s fastest time in six years, and he’s not shy about sharing his goals. His 1:42 in Birmingham on August 18 made him just the eighth man in history to break 1:43 twice in one year, and if he were to do so again in Brussels, he’d join a very exclusive club: only David Rudisha, Wilson Kipketer, and Joaquim Cruz have ever broken 1:43 three times in one year. So that’s the two greatest 800m runners ever plus Cruz, who has a case as #3 (1984 Olympic gold, 1988 Olympic silver, 1:41.77 pb). The only American in the field is Clayton Murphy, and believe it or not, Murphy is the only American man to run in the DL 800 final since 2013 (he also ran it in 2016, finishing 7th). Murphy was poor in his last outing in Birmingham, fading to last in 1:47 after going out strong, but overall he’s been very good this year, including a 1:43 in London, his fastest time since the 2016 Olympics. It will be hard to beat Korir, but he should contend for second. LRC prediction: Korir wins it and breaks 1:43 again. 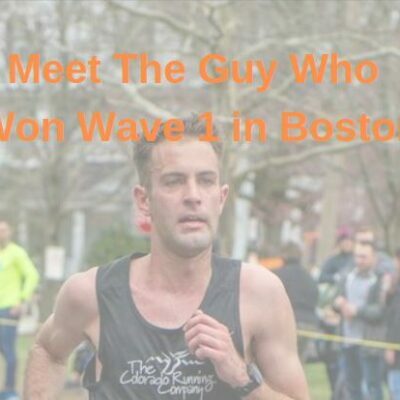 Can he break 1:42? We say…yes! How fast will Emmanuel Korir run in Brussels? If the season ended today, Shelby Houlihan would have a strong case as World #1 thanks to commanding wins at Pre and Lausanne. 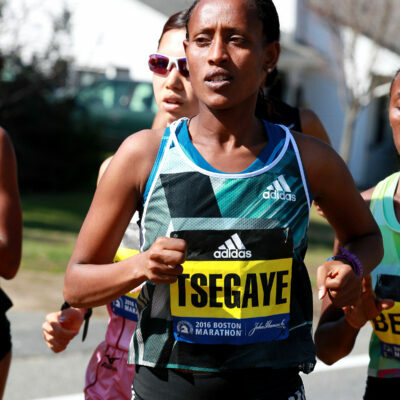 The only woman to run faster than Houlihan’s 3:57.34 this year is Genzebe Dibaba, and while Dibaba was the world champ indoors, she has dodged the DL competition this year, running smaller races in Poland and Hungary instead of facing the world’s best (she gets a pass this time since she’s running the DL 5,000 final on Thursday). 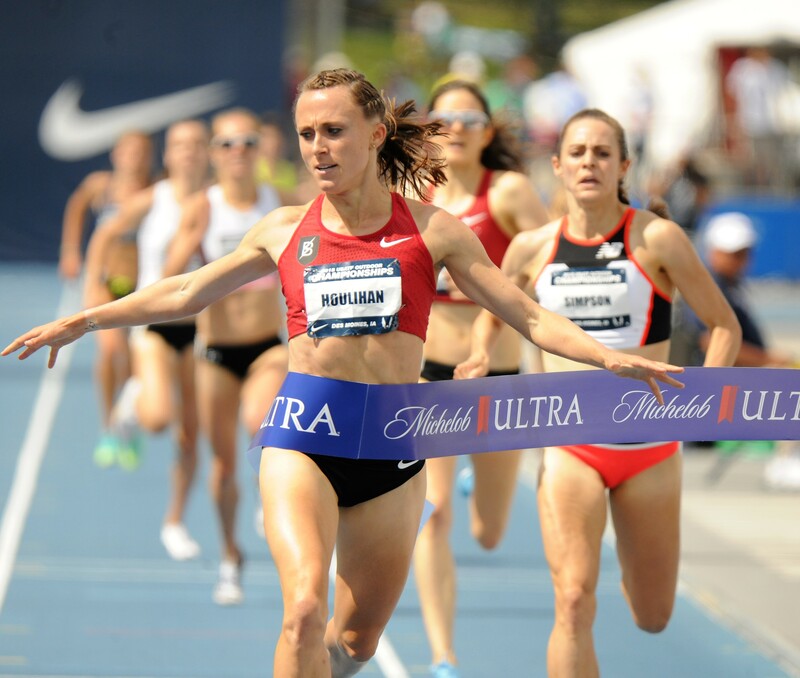 Even years have been good to American 1500 runners — Jenny Simpson won the DL final in 2014, and Shannon Rowbury won in 2016 — and if Houlihan wins in Brussels, there will be no doubt she will have earned the World #1 ranking. And if Houlihan’s devastating kick is not reason enough to be confident, there’s this: her biggest rival, Sifan Hassan, will be doubling back from the 5,000. So while Houlihan will be putting her feet up and perhaps enjoying a Belgian waffle on Thursday, Hassan will be racing a hard 12.5 laps and will then have to fly to Brussels to race again 23 hours later. Not ideal. And considering how strong Houlihan has been over the final 100 meters, Hassan will likely have to force a fast pace to have a chance — a very fast pace, considering Houlihan’s kick was still there in a 3:57 race in Lausanne. Even for a runner as hot as Hassan is right now, that’s a tough ask. LRC prediction: Houlihan wins to notch another victory in one of the greatest seasons ever by an American 1500 woman. Filip Ingebrigtsen 3:30.01 3:30.01 NOR WC bronze medalist last year; is he fully fit? In case you haven’t noticed, Timothy Cheruiyot has been having himself a year. A win in Zürich, and his 2018 Diamond League campaign will go down in history as the greatest ever by a men’s 1500 runner. Some caveats apply here: the Diamond League only began in 2010, and in the two international championships Cheruiyot has competed at — the Commonwealth Games in April and the African champs in August — he was second behind training partner Elijah Manangoi. But on the DL circuit, he’s been unbeatable. Cheruiyot has already joined Asbel Kiprop (2010) as the only men to have won four DL 1500/miles in a single season. Cheruiyot can become the first man to win five with a victory in Zürich, and that total does not even include the Bowerman Mile, which was as loaded as any DL event but didn’t count in the point standings. And it’s not just how many times Cheruiyot has won, or the fact that he has set a world leader in all five of his victories that makes his season so impressive. He’s also been crushing the competition. 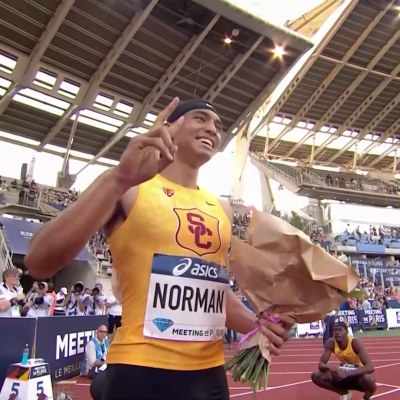 Here are the margins of victory in his last four DL races: 2.57 seconds, 2.06 seconds, 1.23 seconds. That’s the complete list of DL 1500/miles with a winning margin of at least one second. That’s right: in the first eight years of the Diamond League, there were two races with a winning margin of 1+ seconds; Cheruiyot has done that in each of his last three DL races — and that doesn’t even count Pre, where Cheruiyot won by 1.39 seconds. This level of dominance does not come around often. And yet…in a one-off race, anything can happen. Manangoi has had Cheruiyot’s number in championship races, and while the DL final has rabbits, it’s sort of a championship race in that there is a Diamond League championship on the line. Considering Manangoi was second behind Cheruiyot in Monaco (the only other man under 3:30 this year) and beat Cheruiyot in their last race at the African champs, he has the best shot at an upset. But don’t forget about the Ingebrigtsens (and really, how could you?). We were worried that after his epic win at Euros, Jakob Ingebrigtsen would not qualify for the DL final, but he wound up sneaking in as the final entrant. What Ingebrigtsen has done this year at age 17 is simply phenomenal — 3:52 mile, 3:31 1500, double European titles — but a win in the DL final would top them all. As Cheruiyot has shown, the best in Africa are a long way better than the best in Europe at the moment, especially considering the best European (Filip Ingebrigtsen) was hurt at Euros. Chances are Cheruiyot is too good for Jakob as he beat him handily in their two matchups this year at Pre and Monaco. But it’s still awesome to see a 17-year-old from Norway mixing it up with the best in the world, and we’re excited if he can go any faster than he already has. LRC prediction: Cheruiyot won the DL final in 2016 and 2017 and he’s been way, way better in 2018. This will be his first race in over three weeks, so he’s well-rested and we expect him to roll.